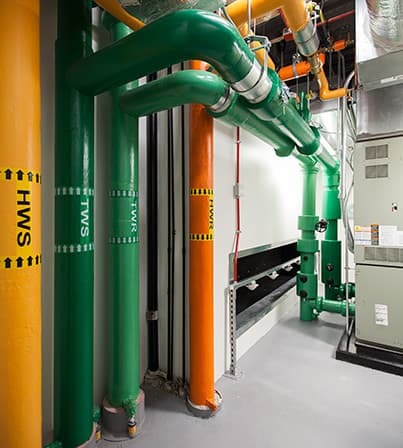 HITT Commercial Services offers Clients commercial maintenance and repair services with the same HITT quality they’ve come to expect, focusing just as much on the smaller jobs as we do our larger projects. With a team of more than 300 tradesmen, HITT Commercial Services self-performs many tasks and trades, providing expert attention and service for jobs of all sizes. In addition to our own site operations forces, we also have subcontractor relationships with established service rates. Upon request, we can provide pricing in just 24 hours, and a rapid response to Client needs with superior safety, cleanliness, and professionalism. We have the ability to deliver a heavy volume of small jobs, service, and emergency work ranging from hanging a picture to providing construction for minor office layout adjustments. We are passionate about relationships and we take pride in being there for our clients whenever, wherever, and for whatever they need.